Top Hat Marquees stock both flat and pleated ivory linings as well as black linings. If you want something a bit different we are able to use coloured swags, colour wash the linings using coloured lights and much more. We have themed many weddings and parties, for more images and ideas please view our galleries. 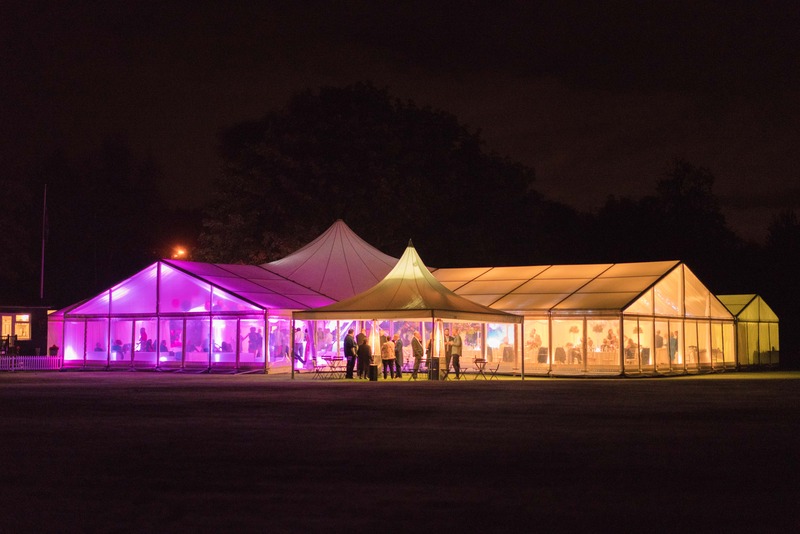 Top Hat marquees can provide you with amazing lighting for every occasion, whether it be elegant uplighters or chandeliers for a wedding or spot lighting for a party. 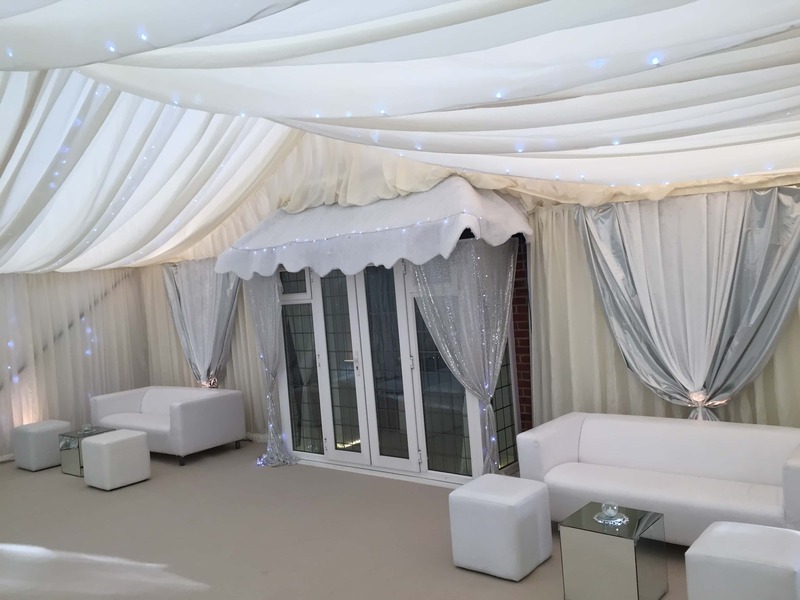 We can also provide you with lights to make a memorable feature such as disco rigging, fairy light canopies, Chinese lanterns, internal and external coloured lighting, festoon lighting and lots more. 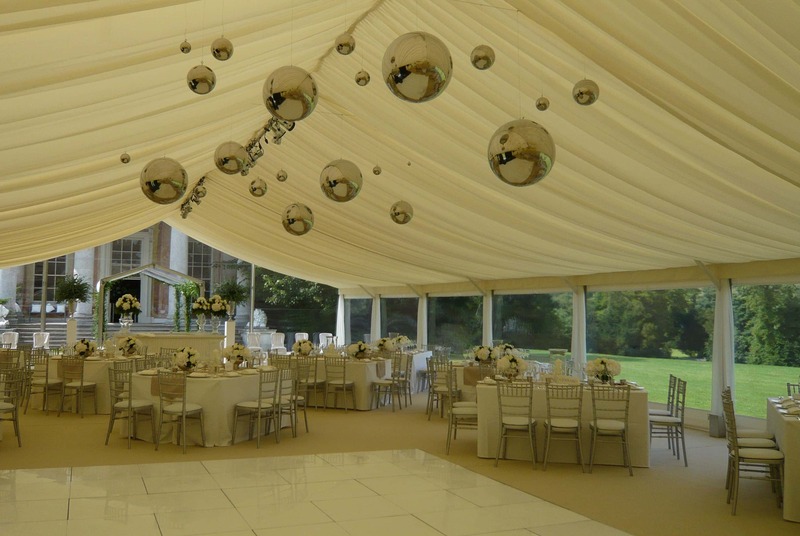 If you really want to impress your guests with an amazing marquee, it is the detail that can really make a difference. We have created a number of amazing marquees using ceiling decorations, objects for a specific theme, flowers, walkways and much more. Have a look through our gallery for some ideas.